^ Albert, Brian. Metal Gear Solid 5: The Phantom Pain Release Date Revealed. IGN. 2015-03-04 [2015-03-04]. ^ Reilly, Luke. Open-World Metal Gear Solid: Ground Zeroes Unveiled. IGN. 2012-08-30 [2012-08-30]. ^ Schreier, Jason. Metal Gear Solid V Is Coming To PC. Kotaku. 2014-08-13 [2014-08-13]. ^ Osborn, Alex. KONAMI: METAL GEAR SERIES CAN CONTINUE WITHOUT KOJIMA. IGN. 2015-09-29 [2015-09-29]. ^ Purchese, Robert. 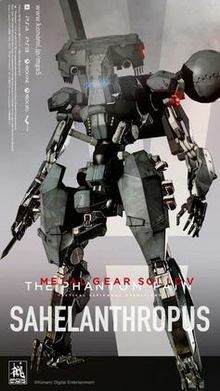 Next Metal Gear Solid targets "high-end consoles", "next-gen" Fox engine. Eurogamer. 2012-02-22 [2013-03-24]. ^ Reilly, Luke. Kojima Productions Hiring For "Next" Metal Gear Solid. IGN. 2012-02-22 [2013-03-24]. ^ Ground Zeroes and Phantom Pain two different games. GameSpot. CBS Interactive. [2015-03-03]. ^ Metal Gear Solid 5: The Phantom Pain revealed. CVG.com. [2013-03-27]. ^ Metal Gear Solid 5: The Phantom Pain – Kojima speaks. VG24/7. [2015-03-03]. ^ 【TpGS 15】小島秀夫來台宣布《潛龍諜影 5》中文化 明星魅力風靡全場.巴哈姆特.2015-01-31.2015-02-01. ^ Kojima Expected to Leave Konami After MGS5, Inside Source Confirms. GameSpot. [2015-03-19]. ^ Konami announces plan for brand new Metal Gear series. Eurogamer. [2015-03-20]. ^ Yin-Poole, Wesley. New article on Konami paints a bleak picture. Eurogamer. Gamer Network. 2015-08-03 [2015-08-03]. ^ Metal Gear Solid V Original Soundtrack Selection released. twitter. 2015-09-02 [2015-09-02]. ^ Metal Gear Solid V Original Soundtrack Selection playlist. 2015-09-02 [2015-09-02]. ^ Orselli, Brandon. Metal Gear Solid Composer Says Hideo Kojima Split from Konami Over Budget Issues. nichegamer. 2015-07-31 [2015-09-21]. ^ Music Composer Ludvig Forssell talks about Metal Gear Solid V. Metal Gear Informer. 2013-06-21 [2015-09-24]. ^ Concepcion, Miguel. 10 Things You Should Know About Metal Gear Solid V: The Phantom Pain. pastemagazine. 2015-08-31 [2015-08-31]. 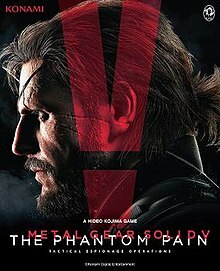 ^ Metal Gear Solid V: The Phantom Pain for PC. GameRankings. CBS Interactive. [2015-08-24]. ^ Metal Gear Solid V: The Phantom Pain for PlayStation 4. GameRankings. CBS Interactive. [2015-08-24]. ^ Metal Gear Solid V: The Phantom Pain for Xbox One. GameRankings. CBS Interactive. [2015-08-24]. ^ Metal Gear Solid V: The Phantom Pain for Xbox One Reviews. Metacritic. CBS Interactive. [2015-08-24]. ^ Metal Gear Solid V: The Phantom Pain for PC Reviews. Metacritic. CBS Interactive. [2015-08-24]. ^ Metal Gear Solid V: The Phantom Pain for PlayStation 4 Reviews. Metacritic. CBS Interactive. [2015-08-24]. ^ 32.0 32.1 Carter, Chris. Review: Metal Gear Solid V: The Phantom Pain. Destructoid. 2015-08-24 [2015-08-24]. ^ 33.0 33.1 Campbell, Spencer. Metal Gear Solid V: The Phantom Pain review. Electronic Gaming Monthly. 2015-08-23 [2015-08-23]. ^ Bailey, Kat. Metal Gear Solid V: The Phantom Pain PlayStation 4 Review: All Good Things [Update: Now With a Score]. USGamer. 2015-09-02 [2015-09-02]. ^ 37.0 37.1 37.2 Romano, Sal. Metal Gear Solid V becomes Famitsu's 23rd perfect score. Famitsu. 2015-08-25 [2015-08-25]. ^ Utley, Matt. Metal Gear Solid V: The Phantom Pain Review. Game Revolution. 2015-09-03 [2015-09-03]. ^ Shoemaker, Brad. Metal Gear Solid V: The Phantom Pain Review. Giant Bomb. 2015-09-12 [2015-09-12]. ^ 40.0 40.1 Juba, Joe. A Legend Worth Waiting For - Metal Gear Solid V: The Phantom Pain - PlayStation 4. Game Informer. 2015-08-23 [2015-08-23]. ^ 41.0 41.1 41.2 Brown, Peter. Metal Gear Solid V: The Phantom Pain review. GameSpot. 2015-08-23 [2015-08-23]. ^ Moore, Ben. Metal Gear Solid V: The Phantom Pain Review. GameTrailers. 2015-08-23 [2015-08-23]. ^ Metal Gear Solid 5: The Phantom Pain review. GamesTM. [2015-09-12]. ^ 44.0 44.1 44.2 Ingenito, Vince. Metal Gear Solid V: The Phantom Pain review. IGN. 2015-08-24 [2015-08-24]. ^ Roberts, Samuel. Metal Gear Solid 5 PC review. PC Gamer. 2015-09-07 [2015-09-07]. ^ 47.0 47.1 McWhertor, Michael. Metal Gear Solid V: The Phantom Pain review. Polygon. 2015-08-27 [2015-08-27]. ^ Donnelly, Joe. Metal Gear Solid 5 review: The Phantom Pain is a game-changing masterpiece. Digital Spy. 2015-09-08 [2015-09-08]. ^ Jenkins, David. Metal Gear Solid V: The Phantom Pain review – The ultimate Sneaking Mission. 2015-09-01 [2015-09-01]. ^ Contreras, Paulmichael. Metal Gear Solid V: The Phantom Pain Review – Uncharted Infiltration (PS4). PlayStation LifeStyle. 2015-08-31 [2015-08-31]. ^ Parkin, Simon. Metal Gear Solid V: The Phantom Pain review – greatest stealth game ever made. The Guardian. 2015-09-03 [2015-09-03]. ^ Fleming, Jack. Metal Gear Solid V, review: Perhaps the finest action-stealth game ever made. The Independent. 2015-09-08 [2015-09-08]. ^ 53.0 53.1 McKeand, Kirk. Metal Gear Solid V: The Phantom Pain review: 'a series best'. The Daily Telegraph. 2015-08-24 [2015-08-24]. ^ 54.0 54.1 Peckham, Matt. Metal Gear Solid V: The Phantom Pain Is the Best Metal Gear Ever. Time. 2015-08-27 [2015-08-27]. ^ Nelva, Giuseppe. Metal Gear Solid V: The Phantom Pain Ships Over Three Million Copies Worldwide, Matches MGS4. DualShockers. 2015-09-06 [2018-01-10].